Lawrenceville Pittsburgh - Live in one of Pittsburgh's "hippest" neighborhoods and find yourself only blocks away from excellent dining, local shops and a happening night life! Lawrenceville is located on the North-East End of Pittsburgh between the Strip District, Highland Park and the Allegheny River. 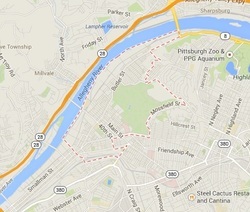 It is also bordered by the Pittsburgh neighborhoods of Bloomfield, Morningside and Stanton Heights. Since the beginning of construction of UPMC's Childrens Hospital, Lawrenceville has quickly become one of Pittsburgh's fastest-growing and most-desirable neighborhood locations. Lawrenceville's location gives residents supreme walk-ability and the convenience of quick access to Pittsburgh's public transportation system. Take a stroll down Butler Street and you'll find a myriad of shops, restaurants and taverns as well as quickly-expanding apartment, loft and townhome developments and renovation projects. Lower Lawrenceville (also known as LoLa) and Middle Lawrenceville have been the areas to see the most development and increase in resale value so far. Upper Lawrenceville is on the move though since the increasing prices Lower and Middle Lawrenceville have pushed many first-time buyers out of that particular market. Commercial and residential revitalization also continues to push in to Upper Lawrenceville. Lawrenceville is separated into three sub-neighborhoods; Upper, Central (Middle), and Lower Lawrenceville. The devision of upper and middle Lawrenceville occurs around Stanton Avenue and appears to be due to the "interruption" of Residential and Commercial developments due to the size and location of the Allegheny Cemetery. Lower Lawrenceville begins around 33rd Street and runs up to 40th Street. Similar to Shadyside, Lawrenceville is known for its artistic and edgy characteristics. Quaint homes’ varying in size create a highly diverse and interesting neighborhood. Historically, Lawrenceville had a simple and quaint start. 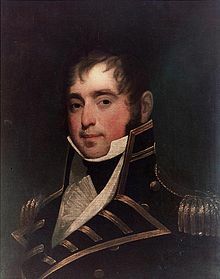 William Foster purchased the 123 acres of Lawrenceville in 1814. William Foster was a pioneer of Pittsburgh legislator and usage of the Erie Canal. He was also father of famous composer Stephan Foster. Lawrenceville quickly found its niche as a naval and aquatic trade epicenter due to its convenient location to the surrounding rivers. The Allegheny Arsenal, an old navel trading company, used Lawrenceville’s ports to export iron since Lawrenceville was the only iron-producing district for many years. Lawrenceville is also home to the shore on which George Washington landed when he famously crossed the Allegheny River in 1753. Washington landed on Herr's Island where the newer home development named Washington's Landing was recently erected. Now, Lawrenceville is all about being ‘New’. New housing, shops, and business of all sorts are making their way to Lawrenceville. However, there are many shops and places well established in Lawrenceville that are definitely worth the trip. Nied’s Hotel and restaurant has been run by the same family for over 66 years and boasts the best fish sandwich in Pittsburgh. Take a trip and see for yourself. If your looking for some variety in your diet, I highly recommend Taste of India or The Church Brew Works,... who says brewing and religion don’t mix? Also, take a cheat day to head La Gourmadine for some of Pittsburgh's finest French pastries. Be ready because they know the more butter, the better. After feasting, visiting some of the cool stores should definitely be on the agenda. Stop by Accezzorize and Pavement for chic clothing and shoes. Or head to Wild Card, the gallery mentioned earlier, which is known for having art from anyone and everyone in Pittsburgh. If you’re into Yoga, you’ve got options in Lawrenceville. Bikram, schoolhouse, and Pratique Therapeutic Yoga are all worth a visit to. After all the food and Yoga Lawrenceville offers, fun things to look for are Arsenal Bowling Lanes to knock down some pins. Or, take a trip to the Thunderbird Cafe for some Local Jazz. Lawrenceville has a fantastic open stage theatre and Arsenal Park for a fresh-air stroll or a game of Frisbee. Regardless, it will take some time to explore all of what Lawrenceville has to offer. As for homes, variety is best word to describe Lawrenceville. Many classic colonial and Victorian homes reside there. However, there have been many renovations of these previously dated homes to bring them into the modern era. Homes here could be described as ‘modern villas’ seeing that homes vary is color, style, and yet remain at quaint and comfortable size. Participants in the Tiny House Movement would surely have a field day in Upper Lawrenceville. A good portion of residents also reside in stylish and modern apartments and condominiums located there. Parking and garage spaces are becoming a much-desired amenity, but Lawrenceville is extremely easy to walk around and navigate regardless of owning a vehicle. Lawrenceville is one of the hippest neighborhoods and is the epicenter of the arts in Pittsburgh. Regardless of being one of the largest neighborhoods in Pittsburgh, having such a modest start, and being nothing but industry for many years, Lawrenceville has turned itself around into a rich and vibrant neighborhood of culture. New York Times names Lawrenceville the ‘Go-to’ destination and this designation is well deserved. But don’t just take my word for it, take a day and explore all there is to explore at Lawrenceville!